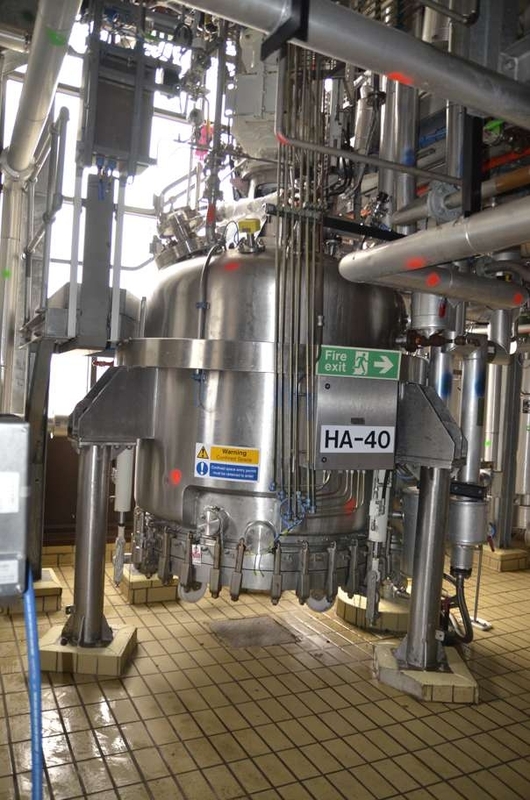 Heinkel HF600 stainless steel 316 Ti (1.4571) inverting bag centrifuges. 1773 dm³ Hosokawa-Nauta conical screw vacuum dryer Type DBXU-600R/V/W., in 316 stainless steel. Rousselet Type RC63 VXDECR 316L stainless steel bottom discharge centrifuge. Large scale QVF/Schott glass kilo manufacturing plant. 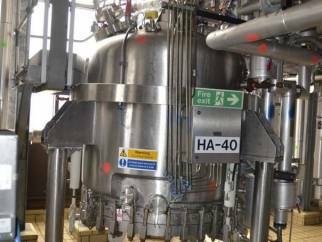 Plus many reactors, granulators, pumps, receiver vessels, graphite block heat exchangers, spares etc. We recommend early inspections for this excellent equipment. Please contact us for further details.